October 28 is the 301st day of the year(302nd in leap years) in the Gregorian calendar.There are 64 days remaining until the end of the year. 1965 – Pope Paul VI promulgates Nostra aetate , by which the Church officially recognizes the legitimacy of non-Christian faiths. AD 97 (XCVII) was a common year starting on Sunday of the Julian calendar. At the time, it was known as the Year of the Consulship of Augustus and Rufus. The denomination AD 97 for this year has been used since the early medieval period, when the Anno Domini calendar era became the prevalent method in Europe for naming years. Year 1017 (MXVII) was a common year starting on Tuesday of the Julian calendar. Maxentius was Roman Emperor from 306 to 312. He was the son of former Emperor Maximian and the son-in-law of Emperor Galerius. The latter part of his reign was preoccupied with civil war, allying with Maximinus II against Licinius and Constantine. The latter defeated him at the Battle of the Milvian Bridge in 312, where Maxentius, with his army in flight, purportedly perished by drowning in the Tiber river. Eadsige, was Archbishop of Canterbury from 1038 to 1050. He crowned Edward the Confessor as king of England in 1043. Saint Faro, Count of Guines, was bishop of Meaux. The family to which Faro belonged is known as the Faronids and is named after him. Legend makes Abdias first bishop of Babylon and one of the Seventy Apostles who are collectively mentioned in the Gospel of Luke 10:1-20. 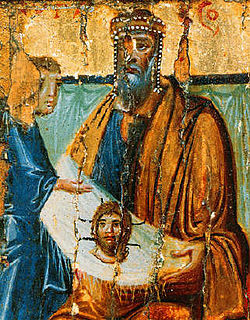 Saints Simon and Jude allegedly consecrated him as the first Bishop of Babylon. Nothing certain is known about him. Abgar V, called Ukamma, was the King of Osroene with his capital at Edessa. 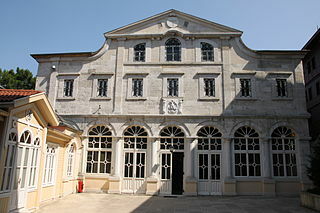 Wikimedia Commons has media related to October 28 .